From Contrarian Outlook: Cash payouts of 8% and more (often paid monthly), plus price upside of 10%, 20%, sometimes even higher. That’s what you get with closed-end funds–and you can often get it in just one buy! But as terrific as these off-the-radar funds are, you still need to be careful: of the 500 or so CEFs available to us, only a handful are worth your attention. Others give you mediocre returns, at best. And some can drain away your cash fast! And in a year that’s been challenging for just about all asset classes, the worst CEFs are showing their stripes, with the real laggards down double digits, and for good reason–their portfolios (as measured by net asset value, or NAV) can’t generate the performance they need to push their share prices higher. Today we’re going to pull back the curtain on some of these losers and look at why they are performing so poorly. When you see the reasons behind their money-losing ways, you’ll know how to avoid funds like these in the future. 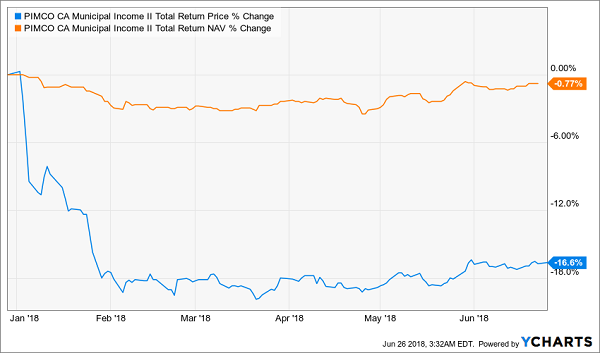 The RMR Real Estate Income Fund (RIF) holds a portfolio of real estate investment trusts (REITs) and often attracts attention because of its massive discount: at a market price 19.8% below its NAV, RIF looks like a bargain. That also makes its 8% dividend yield seem more attractive because it means RIF only needs to earn a 6.6% return to maintain its payouts–and that’s easy to do in today’s REIT market. But RIF is far from providing such a return. 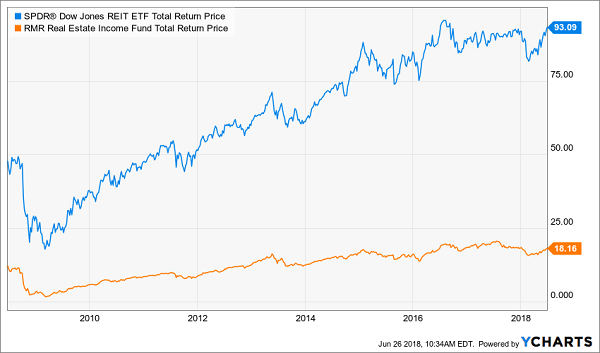 While RIF (orange line above) is up a pathetic 3.3% annualized over the last decade, the REIT index fund SPDR Dow Jones REIT ETF (RWR) is up over twice that. Oh, and if you’re buying RIF for a wide discount that you expect to close soon, think again. While RIF’s discount has been a little wider in the past than it is now, it’s stayed below 10% for most of the decade and has fallen as low as 40%. So those capital gains from a shrinking discount are far from guaranteed. And if you’re wondering why RIF is priced so cheaply and is such a big underperformer, it comes from two problems: the first is the portfolio. 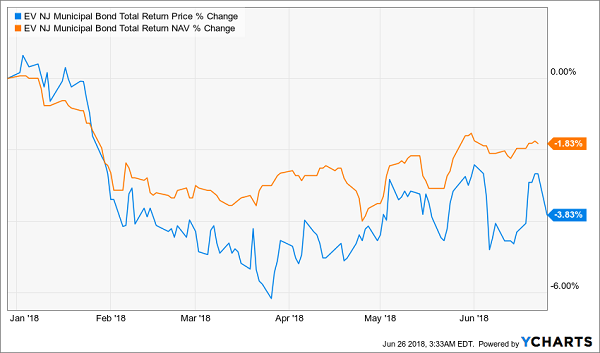 RIF has made a big bet on some REITs that have massively underperformed, like Ventas (VTR), a top-10 holding that is down nearly 20% in the last year. Plus, you’ll have to pay management 2.2% to run this portfolio of underperforming REITs for you, while RWR has a fee of just 0.25%. High fees are okay if you get high returns, but RIF has high fees and low returns. 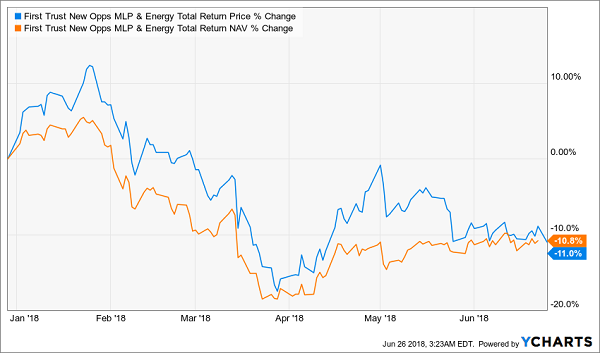 While energy is popular for people looking to diversify, FPL gets you exposure with a history of massive losses, where other CEFs have had positive returns. Since its IPO, FPL’s market price is down 26.8%. And you’ll pay 2.7% fees for them to lose your money. So why does anyone bother to buy this loser? Its 12.4% dividend is probably a big reason; but big yields are often big danger signs, and FPL is no exception. Because while that cash stream may make you feel rich, the fund’s NAV is down far more than its market price (a 48% loss) since inception due to very poor asset choices while still paying out a big and unsustainable dividend, so in reality, FPL is making you poorer. It’s time to get more excited about municipal-bond CEFs, for one simple reason: they’re absurdly oversold. With a 16.6% decline in market price and a near-flat NAV return, PCK’s usually silly premium has turned into a rare discount. And it’s far from alone, thanks to investors’ overblown panic about the muni market (a panic, by the way, that has been proven wrong, since munis are still up over the last couple of years). But some bond funds have done worse while posting discounts that aren’t nearly as attractive, because their NAV declines have been similar but their price declines have been much more modest, bringing the gap between NAV and price performance much closer to each other than what we see with PCK. 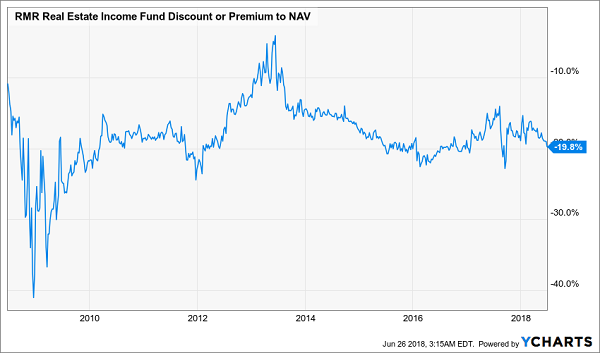 That amounts to a 16.1% discount to NAV, which, while still wide, is there for a reason: this fund’s annualized return is just 3.5% over the last decade, which is unacceptable considering EMJ’s 1.9% management fee. It may take years or even a decade for EMJ’s market return to improve–there’s just no indication that this low-returning fund will turn around anytime soon. And that’s why it’s worth avoiding. The good news? I can steer you straight to the 17 CEFs with the highest, safest yields and biggest upside out there. I’m talking tightly run funds throwing off up to 9.6% cash dividends! All you need is a no-risk 60-day risk-free trial to my CEF Insider service. And your timing is perfect, because I’m making a limited number of these trial memberships available today. Simply CLICK HERE to start your no-obligation trial. When you do, you’ll get instant access to the names, tickers and my complete research on each and every one of the 17 buy recommendations in the CEF Insider portfolio. 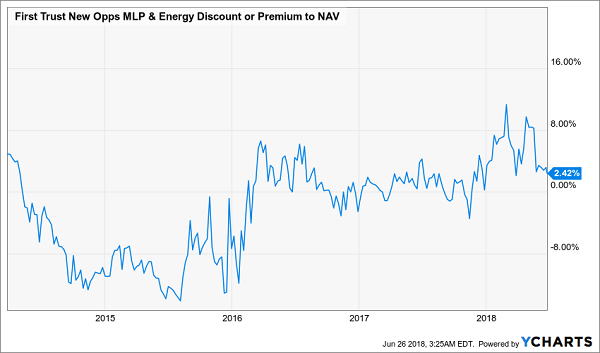 These 17 bargain CEFs trade at absurd discounts to NAV that are steadily narrowing. That puts unrelenting upward pressure on their share prices and sets us up for a market-crushing gain in the next 12 months! But the best part–by far–is the dividends. Right now the portfolio boasts an average yield of 7.4%. But remember, that’s just the average! Cherry-pick my 3 highest-yielding funds and you’ll be pocketing safe, life-changing payouts like 9.6%, 8.4% and 8.3%! I hope you’ll take this opportunity to join the small group of investors across the country who are pocketing regular–and mostly monthly–dividend checks from these 17 funds. This exclusive guide reveals the names, tickers, buy-under prices and more on my 4 very best CEFs to buy now. Grab these 4 cash machines today and you’ll trigger a 7.6% average income stream and position yourself for 20%+ upside in the next 12 months! The Vanguard High Dividend Yield ETF (VYM) was unchanged in premarket trading Friday. Year-to-date, VYM has declined -2.37%, versus a 1.92% rise in the benchmark S&P 500 index during the same period. VYM currently has an ETF Daily News SMART Grade of A (Strong Buy), and is ranked #4 of 81 ETFs in the Large Cap Value ETFs category. The article High Dividends To Avoid This Summer (VYM) was originally published at ETFDailynews.com.